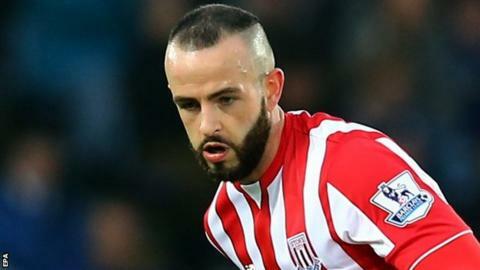 Republic of Ireland defender Marc Wilson is expected to be out of action for around three months after sustaining a knee injury on Saturday. Wilson was injured during Stoke City's FA Cup match against Crystal Palace and it could make the 28-year-old a doubt for the Euro 2016 finals in France. "Marc looks like he has got a bad injury," said Stoke boss Mark Hughes. "The physio thinks he's got medial ligament damage so he is going to be out for a period of maybe 10-12 weeks." Stoke expect to have a clearer idea on the extent of the injury on Monday. Hughes added: "Marc is down at the moment, which you would expect. "He is looking forward to the European Championship which is what he wants to be involved in at the end of the season. "I am not sure if this injury will make him a doubt for that, we hope not."